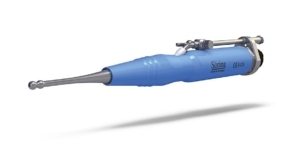 Sonoca 185 is neurosurgical dissector technology modified for wound debridement. 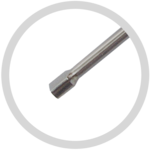 The device utilises ultrasonic vibrations in the tip of a handpiece to destroy necrotic tissue, stimulating the healing of chronic wounds. 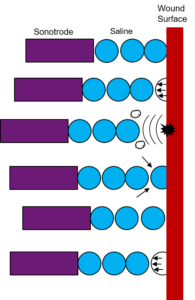 It creates and collapses microbubbles in water, generating a force capable of washing away infected or necrotic tissue, whilst leaving healthy tissue unaffected. 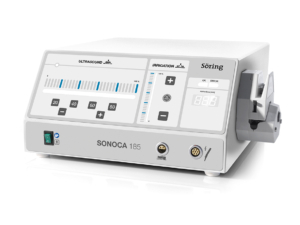 The Sonoca 185 device operates at low frequencies, which allow preservation of healthy tissue, promoting quick healing at the wound site. 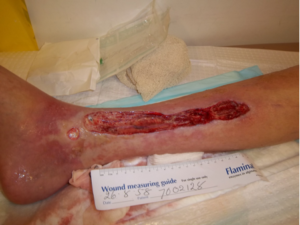 This process also reduces the risk of further infection at the site. 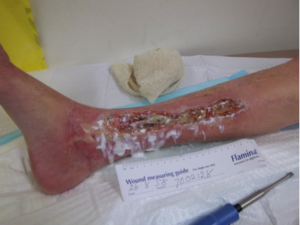 Vasodilatation and resolution of vasospasms result in increased blood flow, faster healing. Sonoca-185® is available for hire or purchase. Would you like to meet with a Product Specialist to discuss your practice/hospital’s requirements?